U.S. transportation safety investigators at a rare field hearing in Alaska grilled Hageland Aviation officials and others on Thursday over the cause of a fatal airplane crash in October — and whether a connection existed between it and dozens of similar airplane crashes in Alaska. 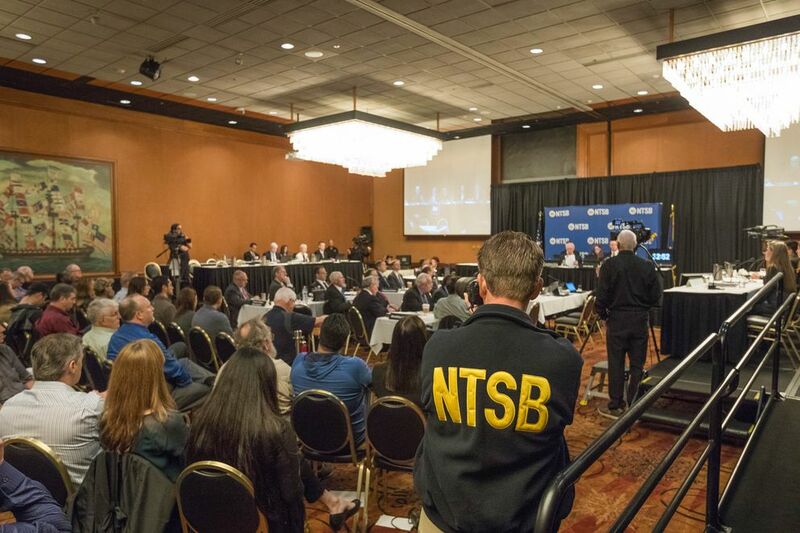 Many of the questions from National Transportation Safety Board investigators centered on a "terrain awareness" system that the pilot of the Ravn Alaska flight, operated by Hageland Aviation, might have turned off legally before he slammed into a mountain northwest of Togiak. 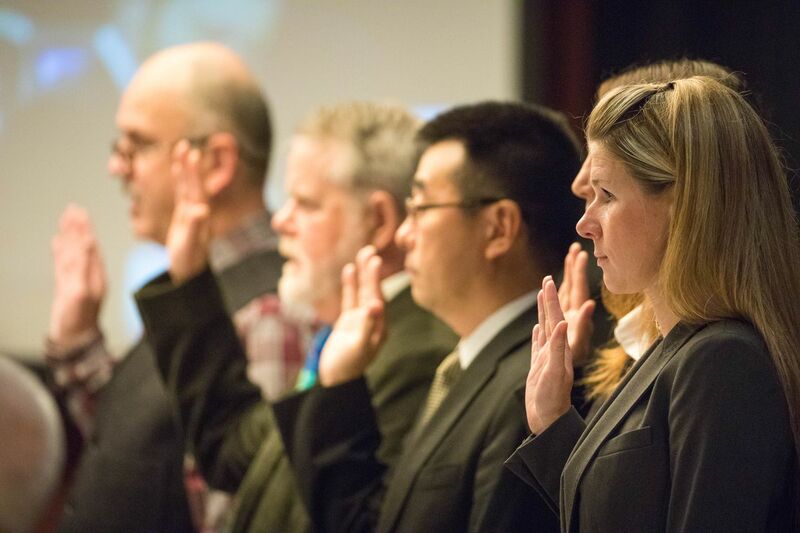 But the hearing — the first outside Washington, D.C., in almost two decades — also targeted the bigger picture of aviation safety in Alaska, including how to reduce risk-taking among pilots and the state's limited communication and weather services. The crash of a Cessna 208B Caravan took three lives — passenger Louie John, a fisherman from Manokotak who boarded in Quinhagak, and pilots Timothy Cline, 48, of Homer, and Drew Welty, 29, of Anchorage. NTSB is calling the accident "controlled flight into terrain," meaning a pilot in control of an airworthy plane unintentionally flew it into the ground — or water. The chair of Thursday's hearing, Earl Weener, said such accidents are "eminently avoidable." Yet they still happen. In the last eight years, 36 such crashes have occurred in Alaska, killing 40. They often occur when a pilot flies into low-visibility conditions that obscure terrain. 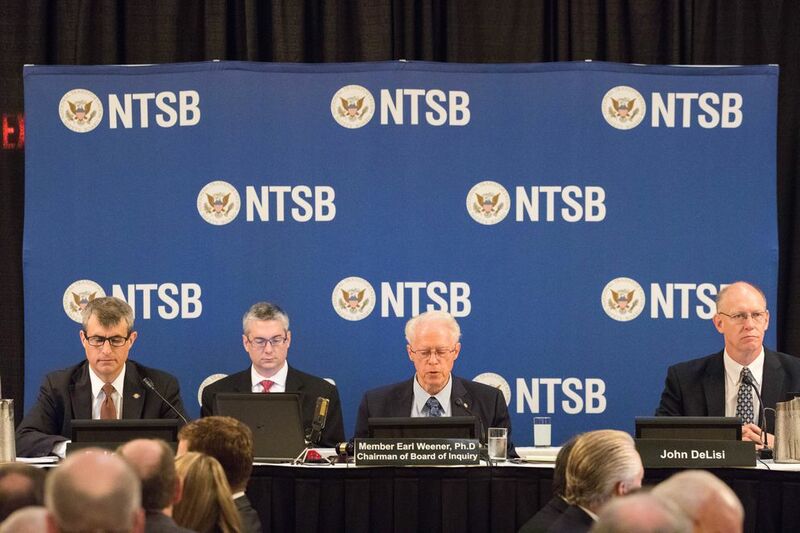 The hearing, labeled by NTSB as a fact-gathering mission that will lead to a report in perhaps a year, featured 16 witnesses, primarily from Hageland and the Federal Aviation Administration. Hageland Aviation aircraft have been involved in six accidents since 2013, the board said. Four involved controlled flight into terrain and one involved flight into instrument meteorological conditions. In a steep climb at impact, Cline slammed into the ridge of a mountainside on a cloudy day, scattering wreckage hundreds of feet below. A terrain warning system would provide 36 to 46 seconds of warning to begin climbing, said Yasuo Ishihara, a witness and representative with Honeywell, the company that manufactured the awareness warning system. In Alaska, witnesses said, the system is often turned off to prevent alarms when there's no problem. Pilots at Ravn Alaska, providing service to more than 100 communities around Alaska, are allowed to fly as low as 500 feet above the ground under the right weather conditions, said Erin Witt, chief pilot for Hageland. That causes the alarm to sound, and pilots can legally turn it off if it's not needed, Witt said. 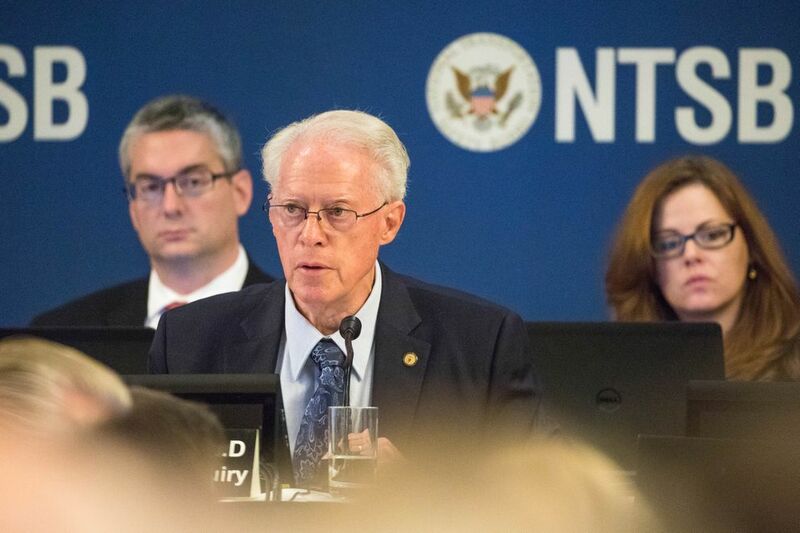 Shaun Williams, NTSB's lead investigator on the accident, asked why Hageland allowed pilots to fly below 700 feet when that could cause pilots to become complacent about the alarms. Witt said the company makes decisions based on safety, and that flying at 500 feet above the ground is safe in the right conditions. Witt and others, including FAA officials, argued that Alaska needs better aviation hardware, especially to support flights throughout Alaska that would use instruments rather than flying solely by sight. Such flights would allow pilots to fly much higher, easily clearing mountain peaks, than pilots who are flying by sight. But Alaska doesn't have that capability — known as instrument flight rules — on many of the routes flown by Hageland, said Luke Hickerson, Hageland's director of operations. One benefit of flying lower by sight is avoiding problems associated with icing on wings — many village airstrips lack equipment to de-ice planes, officials said. Other major shortcomings in Alaska include lack of communications and weather equipment, particularly in the Yukon-Kuskokwim Delta in Western Alaska. About 10 percent of the airstrips flown by Hageland lack access to weather sources and even cellular service, preventing Hageland pilots from calling ahead for weather information, Witt said. The FAA has identified about 150 airports in need of area forecasts, leading to an effort with the National Weather Service to improve forecasting information, said Clint Wease, a division manager for the Federal Aviation Administration in Alaska. Sometimes, the only weather information in a village comes by calling the Hageland employees in the village, who often aren't trained in weather because their jobs are moving mail, Hickerson said. Even the principal at the local school might be asked for help. Some weather information, even if it's not from trained professionals, is better than none, Hickerson said. Hageland officials said the company has made major strides in improving safety, including new training standards for pilots. It has also implemented new tracking measures that can lead to better decision-making, such as for pilots turning off their terrain-warning systems or reversing course because of weather. The company, which completes some 150,000 takeoffs and landings a year, is canceling more flights, including at least 2,000 flights this January and February because of bad weather, Hickerson said. Turnover at the company has also been reduced. Investigators, however, seemed skeptical that the company would always fly by instruments if that were possible. In the October crash, an agent with Hageland's operations center had recommended flying by instruments. Under instrument rules, Cline would have flown high above the ridge. But Cline disagreed, and he was allowed to fly by sight, putting him much closer to the ground.